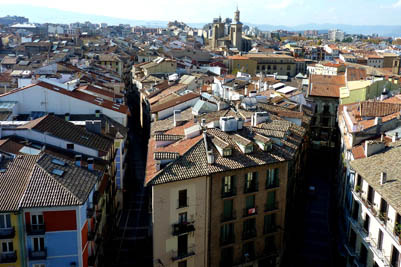 Pamplona is a quiet city located in the middle area of the province of Navarra. A place of deeply rooted traditions, it is perfect to spend some agreeable days. 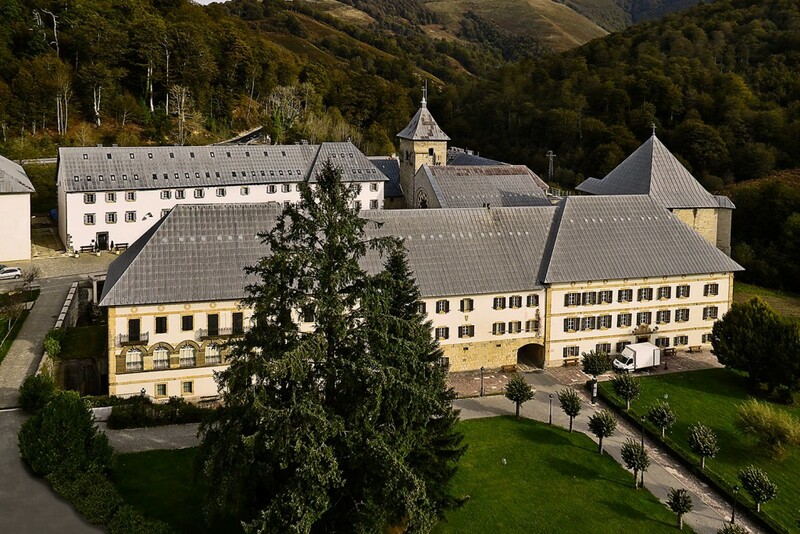 It is half way two historical villages, Roncesvalles and Viana, first and last stops respectively of the French route to Santiago in Navarra. The old part of the city was in its origins splitted into three little dominions: San Cernin, Navarreria and San Nicolas. The king of Navarra Carlos III, ordered the union of the city which under the ruling of a single Council from then on. It is precisely from the Town Council the rocket “El Chupinazo”, in charge of starting the festivities, is launched. 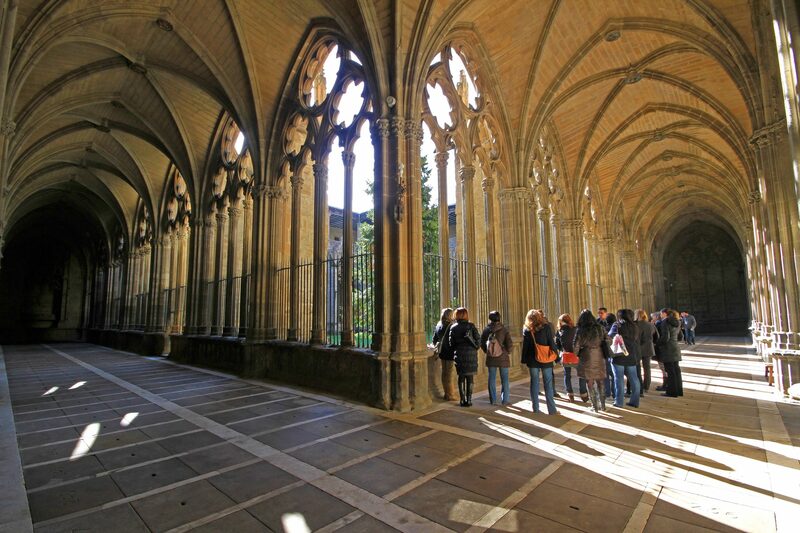 “Plaza Catedral” hostel is located right in the historical suburb of Navarrería, beside the restored Cathedral whose Neoclassical facade hides one of the purest examples of Gothic architecture inside. The hostel is a historical building itself and it is only a few meters away from the famous and dangerous curve of Mercaderes, one of the streets the “encierro” or running of the bulls takes place. Coming out of the hostel, the visitor is a step away from two very different atmospheres. He can either head for heart of a lively city or he can go across the quiet little San José square by the hostel to the highest part of the walls of the city called “Caballo Blanco”. A charming place where you can enjoy the views and take a walk along the walls which will lead you to beautiful gardens. This is a land where we take gastronomy seriously. Plaza Catedral hostel is near lively streets with bars offering the best of our wines and snaks or “ pintxos” which will surely meet your high standards. 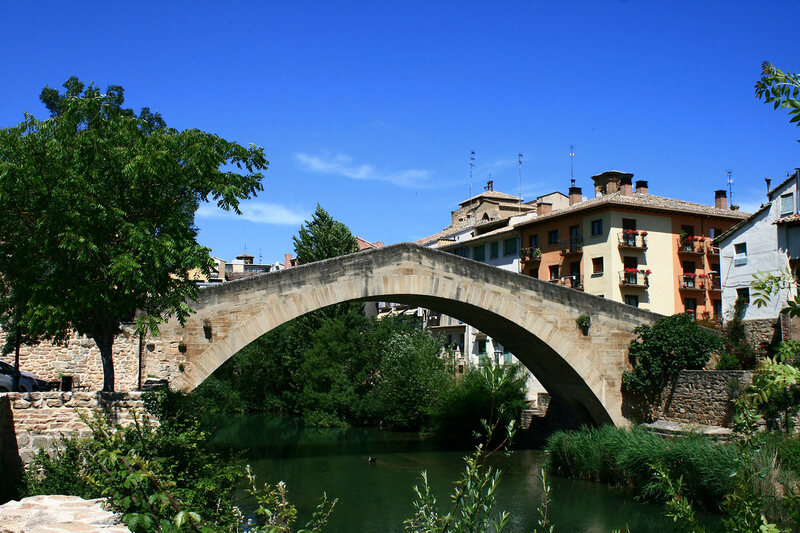 Visiting the region with its beautiful scenery is easy from Pamplona since it is in the centre of Navarra. You will be amazed by the contrasting landscape. You will find mountains ranges like the Pirinees, Urbasa, Aralar, great forests like the one in Irati, charming valleys such as Baztan and Roncal with little captivating villages in the north while in the south with “ a moon like desert called “Las Bardenas” will amaze you! 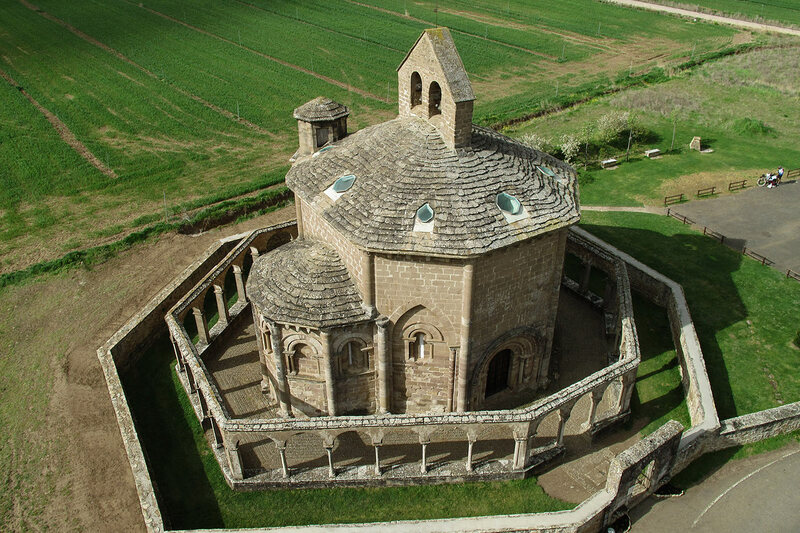 The Castles of Olite and Javier, the Roman fortification in Artajona , the monasteries of Oliva, Leyre, Iranzu e Irache and the villages of Estella and Sanguesa are some of the treasures of our historical heritage that will take the visitor back in time. Don’t forget to taste the varied grastronomy of Navarra and their great wines. 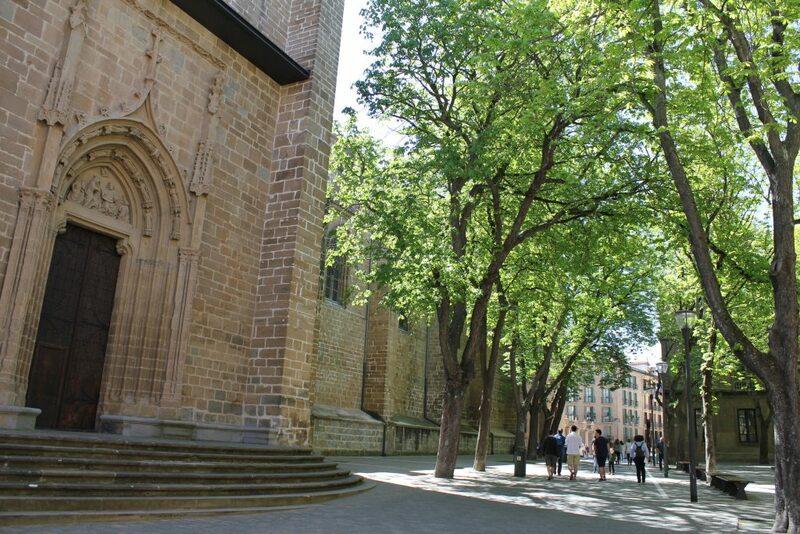 A more detailed guide around the region of Navarra can be found in www.navarrincon.com where our friend Germatore shows different routes suitable for people of all ages. You can also make use of it should you have any doubts of any kind. © HELIO DIGITAL. Photo courtesy of Departamento de Turismo del Gobierno de Navarra. // Estella / Lizarra. Cárcel’s Bridge. Don’t you take it on hearsay, come to meet us! !